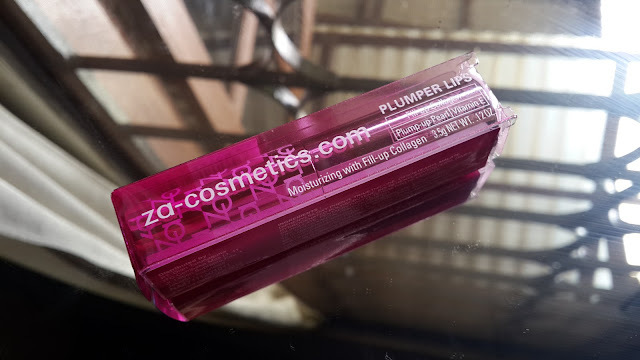 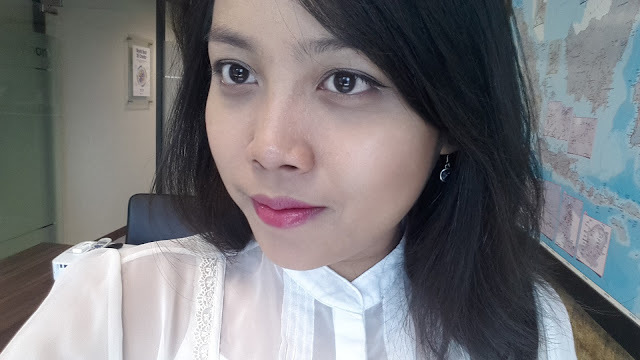 Even though ZA cosmetics is no longer available in Indonesia, but I have to admit that the Plumper Lips series is one of their finest product. Gives your lips perfect clarity and depth. 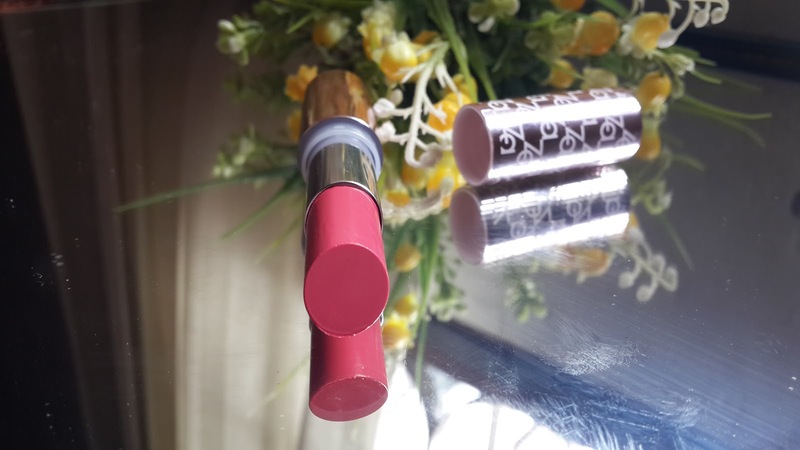 "Fill-up collagen" replenishes your lips with rich moisture while "Plump-up pearl", with its light-diffusing effect, makes your lips look incredibly plump and smooth. 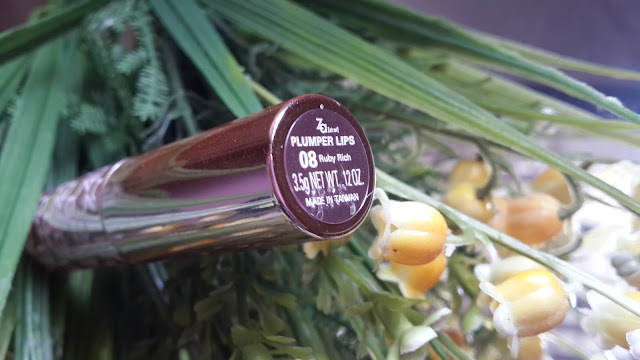 Comparing to another ZA product Pure shine lips series, plumper lips offer more intense and vibrant colors and less visible glittery particle than Pure shine series. 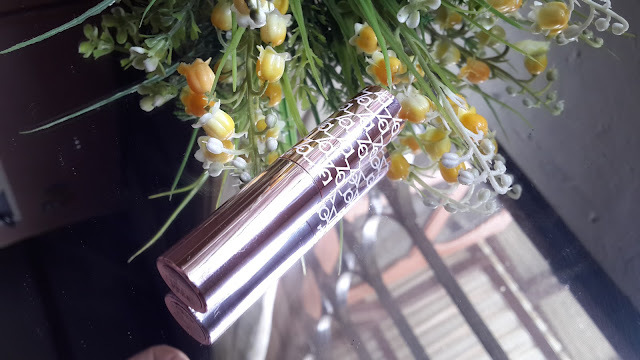 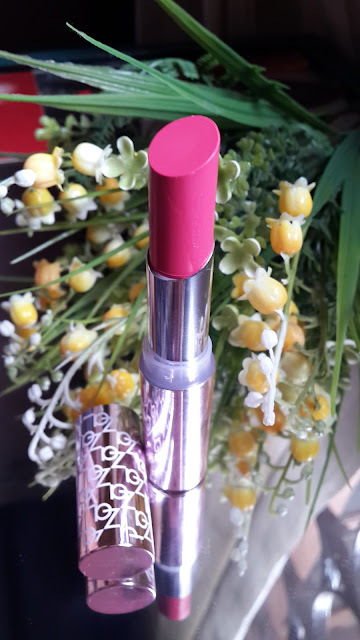 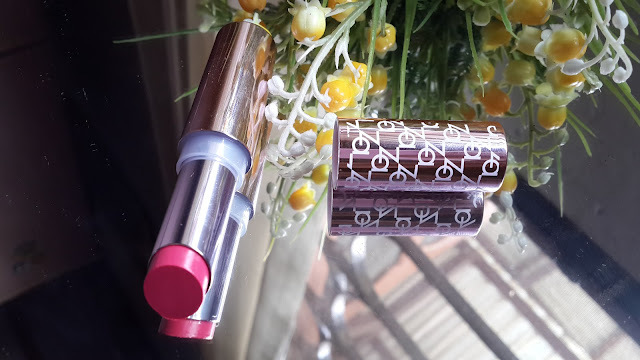 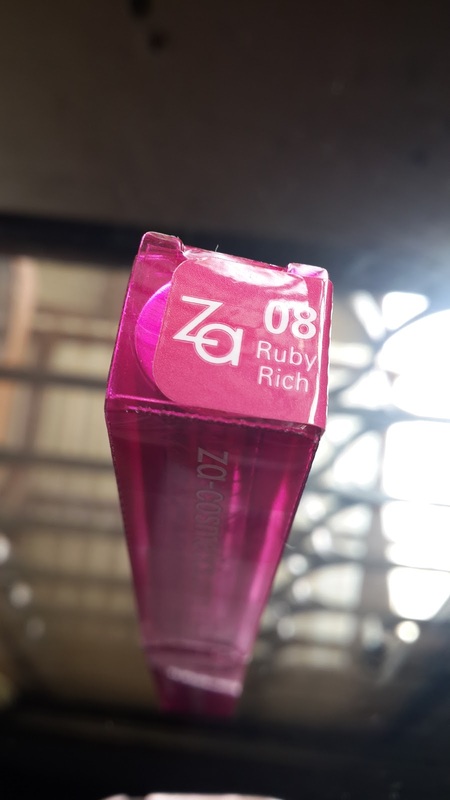 This lipstick available in 7 shades encased in a sophisticated metallic-pink tube imprinted with 'ZA' logos. Plumper Lips series designed to give you a plump-up lips with fill-up collagen and moisturizing agents to protect your lips from dryness. 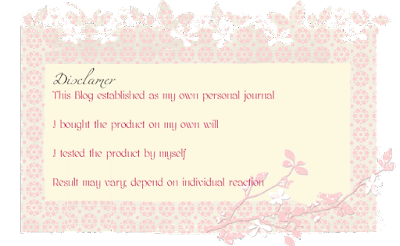 ZA is sub-brand under Shiseido umbrella which covers drugstore/low-end market. 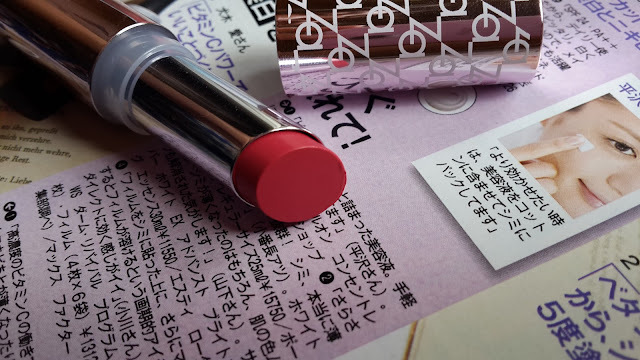 Their concept is Urban-Chic looking which targeted young working-age women. The metallic-pink tube design represents ZA's dynamic-feminine urban concept and the sleek tube design goes well for commute. 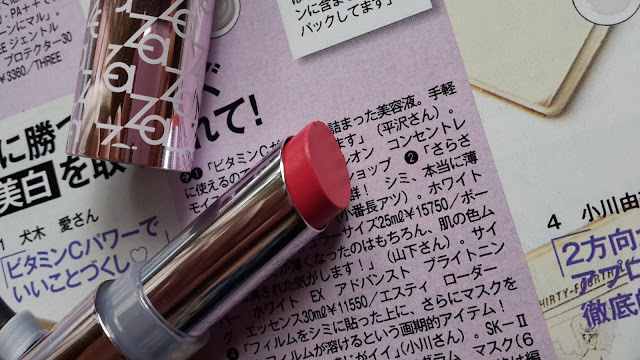 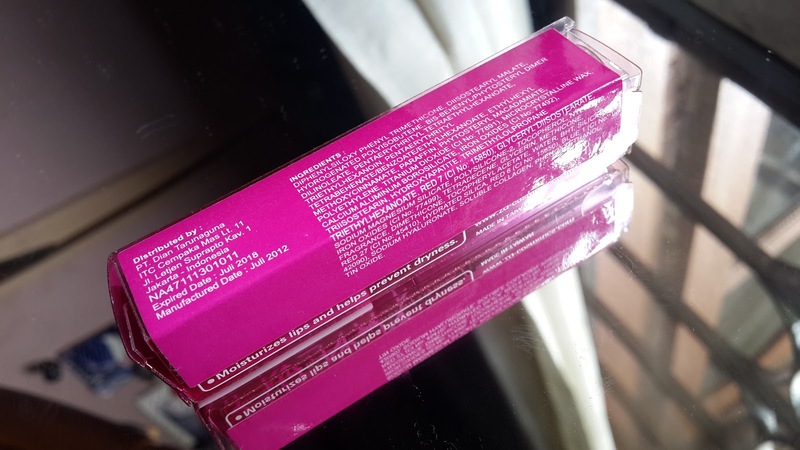 The outer box packaging also comes in a shocking magenta with detail information about the product. Most of ZA product is produced in Taiwan; which is their home-base for Asian region. 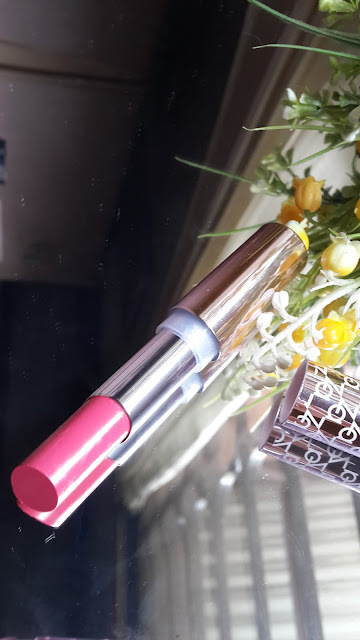 Looking sophisticated and refined; the bullet comes in a simple slanted tip. 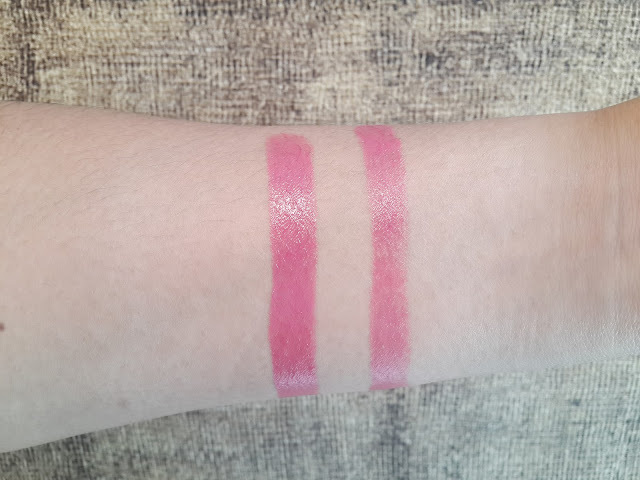 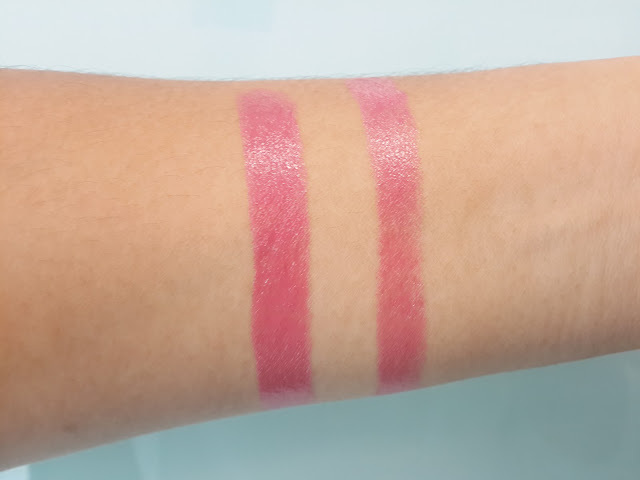 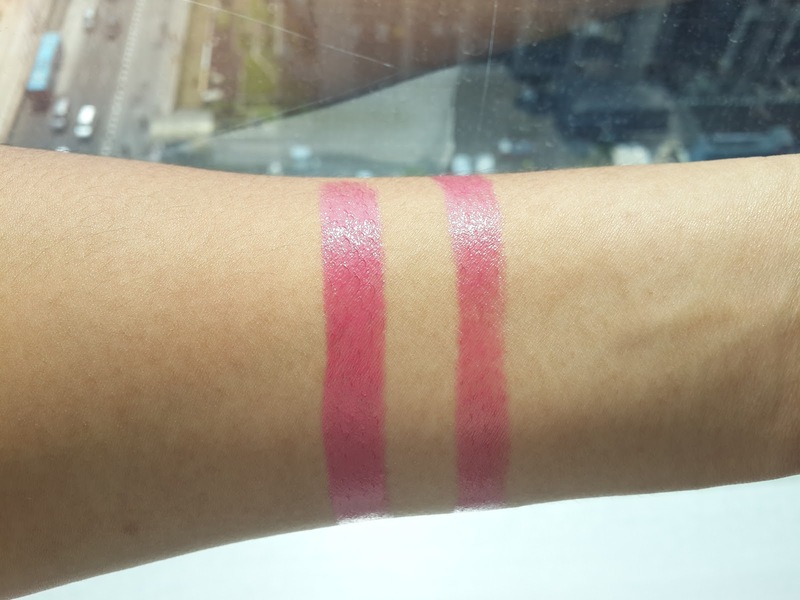 Ruby rich is definitely universal pink to red shade with a hint of blue undertone and it's more vivid and pigmented than 01 which has more visible pearl particles. 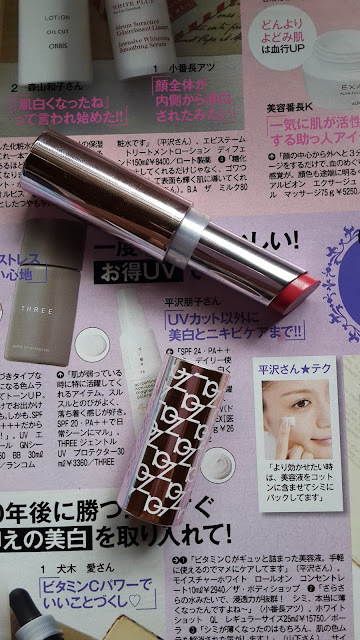 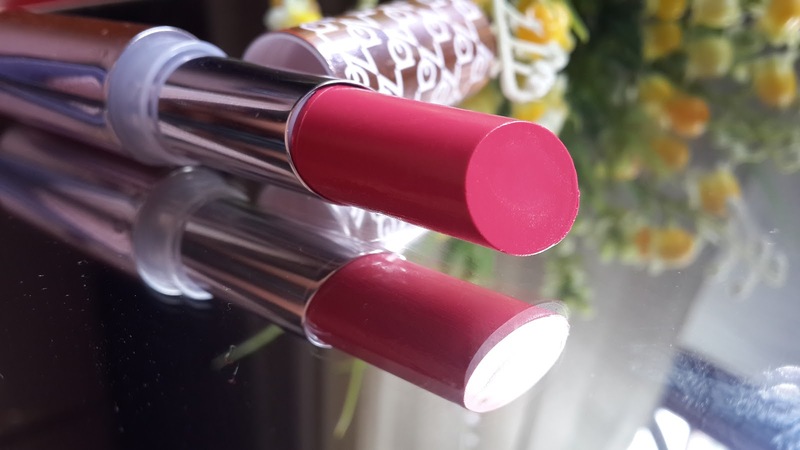 The shade is suitable for most skin tones and equipped with fill-up collagen, plump-up Pearl and Vitamin E. The texture is creamy-satin with glossy finish whereas the pearl particle is less visible after applied.